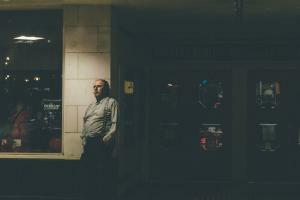 Halloween in Milledgeville is a fun and spooky time for everyone involved. With so much history, it is easy to get in the frightening spirit that makes October so fun. Every year, Milledgeville has some unique ways of celebrating the holiday, like the Haunted Trolley Tour, Trick or Treating in downtown and all of the fun events that local businesses put on. This event put on by Buffington&apos;s is the mother of all costume contests. There will be a $100 cash prize for the main event on Saturday, Oct. 29, as well as $20 Buff Bucks for the nightly winners drawn at midnight. 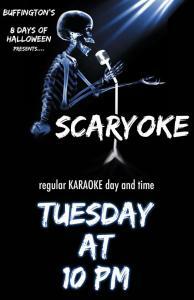 Other days include Scaryoke (Karaoke) on Tuesday, Milly Vegas Night on Thursday with a live DJ, and a Funk Show on Saturday. If you have little ones, Trick or Treating in Downtown Milledgeville is the place to be on Monday, Oct. 31. From 10am to 12pm, participating local businesses will be handing out candy for your little monster and mermaids! 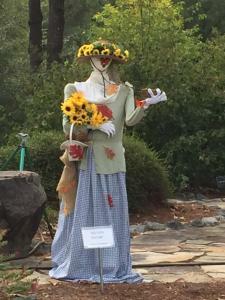 This beautiful Milledgeville landmark has started a new tradition in their Scarecrows in the Arboretum Contest. For the entire month of October, Lockerly Arboretum has displayed an exhibit of Scarecrows for visitors to vote for “Best in Show” and “Best in Class.” This event will end on Halloween, so don’t miss it! This Halloween, head over to the Old Governor’s Mansion for trick-or-treating at the Mansion&apos;s front door and a special Halloween tour! Trick or treating is free of charge from 6pm to 7pm and tours will begin at 6:30 and reservations are required. Admission is $2 for this family-friendly tour, and tickets can be purchased the night of. 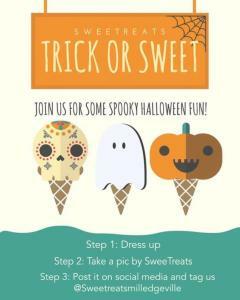 SweeTreats bakery and ice cream shop in downtown is also having a costume contest with a prize of a SweeTreats prize pack. For the following week, SweeTreats is also having an awesome promotion that allows customers to bring in their leftover Halloween candy to put into their personalized ice cream, free of charge! This year, the Milledgeville Public Library will be open on Halloween! 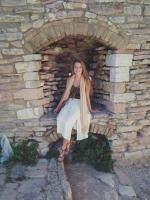 Come in with your cutest costumes and participate in their trick or treating event. They will include non-food items to make sure every kid has a treat, as well as candies for those kids who can partake. One of Milledgeville’s most anticipated events (leading up to Halloween night) is the annual Haunted Trolley Tour during the month of October. Put on by the Milledgeville Convention and Visitor’s Bureau for the 15th year in a row, this adults-only tour features stories that have been passed down for over 150 years that tell tales of hauntings in Milledgeville.